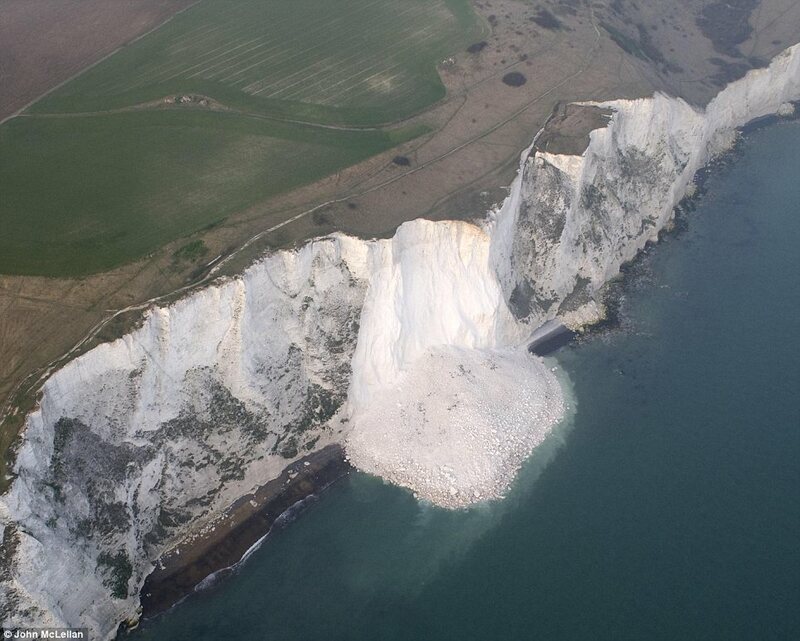 Why are the White Cliffs of chalk not taken out by the Flood? So The Great Flood God sent out in the time of Noah. Why did the flood not take out the chalk wall in Dover because chalk is so easily washed up. catastrophist have made attempts to tackle the problem of how these kinds of chalk deposits could have formed during the flood, the details are still where difficult to understand in the framework of catastrophism. The famous cliffs of Dover looked very different thousands of years ago. Prior to the flood, during the time of Doggerland, there weren't any cliffs there at all, just rolling hills. 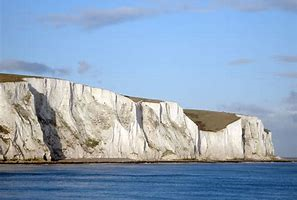 It wasn't until the sea levels rose around 6,500–6,200 BC that the UK was cut off from the mainland and the water started eroding the hillside. The flood occurred ~4,000 BC, so the cliffs would have been relatively new still since the sea levels rose. We've seen far more erosion since the flood. The cliffs historically have eroded at a rate of about 1-2 inches per year, by that figure we can assume the cliffs may have extended up to half a kilometer further into the ocean at the time of the flood. The rate of erosion has since sped up, the cliffs are eroding at a rate of almost 12 inches a year now. Mass wasting events continue to occur on the cliffs, the most recent being in 2012 (see photo below). Most undoubtedly the flood would have caused significant mass wasting events at the time, particularly after the flood waters would have receded, but there have been a few thousand years of waves beating against the shore since then to cut the cliffs back again. It won't be too long before the pile from the event shown below gets cleaned up by the waves, and the cliff looks like itself again. Even secular science says that the White Cliffs (and the Cap Gris-Nez on the French side) were created only 10,000 years ago. Before then, the two land masses were fully connected. The Channel (and cliffs) were created at the end of the ice age by massive flooding that eroded away the land-bridge. So there really isn't a question of why flooding didn't wash away the soft chalk; it did. I think your real question is: how could chalk have formed from marine shells in the short time before that? People that believe the universe was recently created will have a difficult time answering that question. But some Christian denominations, even though they believe that the seven days of creation happened only thousands of years ago, still accept that the universe and the Earth itself are billions of years old. This is known as the "Gap Theory". Genesis 1:1 describes the original creation of the universe, and Genesis 1:2 describes God's much more recent reconstruction of Earth. This is supported by what non-Gap-Theory believers must consider a biblical contradiction: Genesis 1:2 saying the "earth was without form [Hebrew "tohu"], and Isaiah 45:18 saying that God "created it not in vain [Hebrew "tohu"]. During the time gap between those two verses, the Earth flourished with life (shellfish, dinosaurs, etc.) and was tended by the archangel Lucifer and his angels. But Lucifer rebelled against God, and in doing so destroyed much of the surface of the Earth, and most or perhaps all, of its life forms. This is described in Ezekiel 28, Isaiah 14, Revelation 12, Luke 10, and Jude 6. Lucifer, now known as Satan, is still considered "the god of this world". When God repaired the world and created new life forms (including man), and when Noah's flood happened, the chalk in the White Cliffs had already been formed millions of years before. Not the answer you're looking for? Browse other questions tagged bible flood-of-noah or ask your own question. What is the Christian perspective on deceptive brain messages? Troubled people showing interest in reading the Bible: how to explain to them that faith is a lifestyle and not an “ATM”? Why did God create the great flood?